3 Of My Records: ...That Prove I Love a Good Anthology (And That I Can't Control Myself at the Record Store). ...That Prove I Love a Good Anthology (And That I Can't Control Myself at the Record Store). 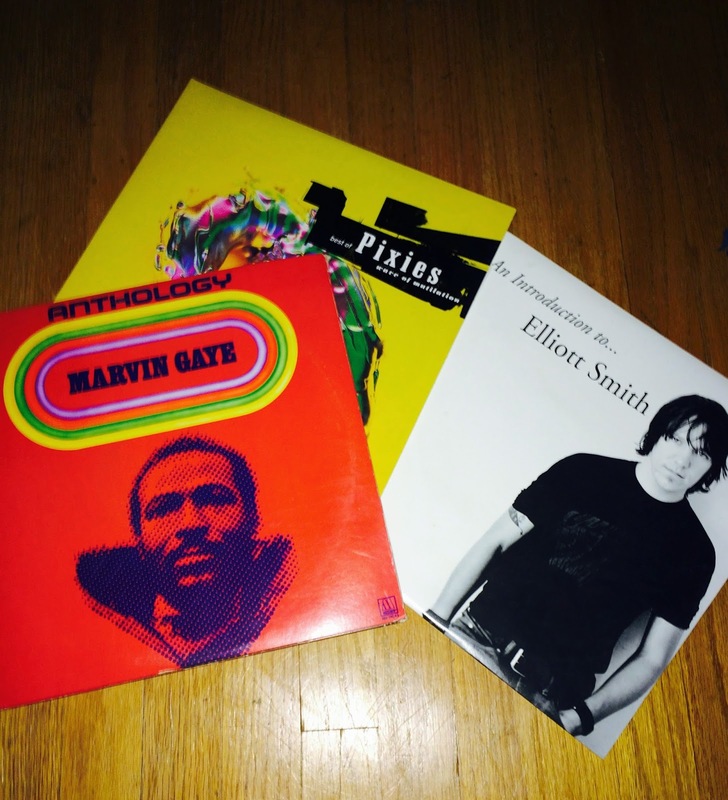 Why These 3: The thing is, going to the record store is really, really hard for me. I try to only go once a month, and I try to only buy one record. Because I have a tendency to get caught up in all the hunting (and therefore overspending), I have taken to (gasp) buying from Amazon. In a record store, I feel like if I find it, then the stars have aligned and I can't fight fate. Internal monologue as I am walking into the store: "You can do this. Head straight for the album you've been eyeing. Do not look around. You are a baller on a budget. Just get that one record." Internal monologue as I open the door: "Oh good, there's that album. Is it hot in here? Why am I sweating? Wait... is that what I think it is??? No way, is it really? A used anthology record? A USED ANTHOLOGY! OK, let me think. I have gas in the car. I've paid my bills. If I buy an anthology, it is like a bargain because I am getting the greatness of an artist at the low, low price of $20. Life is so hard sometimes. I basically deserve this." The sheer joy/guilt I feel when I leave takes me straight to a junky convenience store to buy a six pack of coors light. (Yes. Coors light. Whatever, I really like it.) By the time I've finished those beers and listened to the anthology a time or two, I realize I left the originally intended purchase at the record store. I'll be stronger next time.